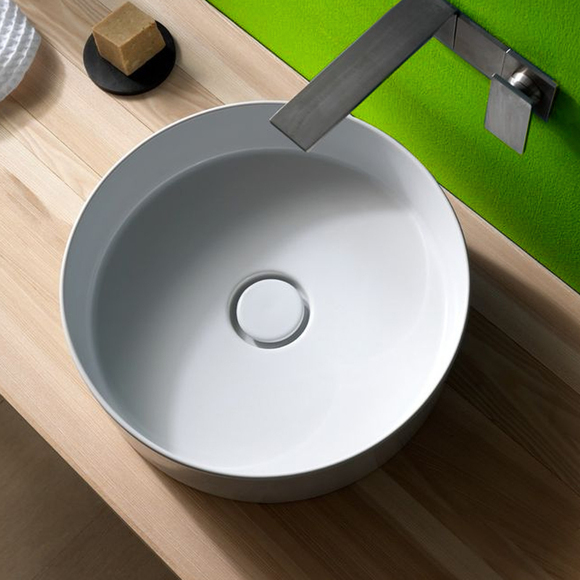 When looking for a basin you will need to think about where it's going i.e. space and the type of wall it could be fixed to. If you have a small space i.e. a cloakroom you may require a cloakroom basin which is normally around 45cm wide. If space is limited you may want to consider a semi-countertop or countertop basin as these sit on a cupboard for extra storage. If you want to go for a more traditional look you may want a pedestal basin. Pedestal basins are good to hide the unsightly waste pipes underneath. If you are unsure view all our basins here.